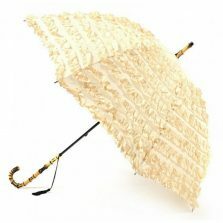 Please take a look at this delightful Princess beige pagoda umbrella – the perfect accessory for any special occasion! 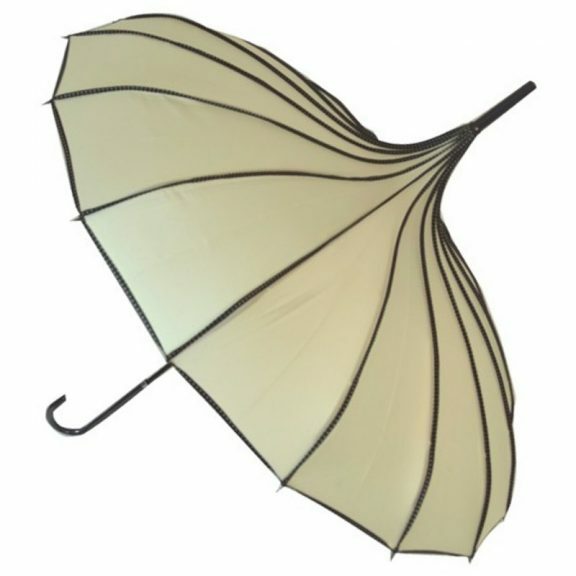 This beige pagoda umbrella is simply exquisite – to be honest our photo really does not do it justice. 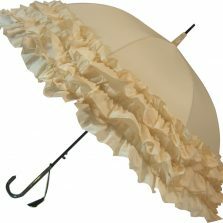 This beautiful beige brolly really does make the perfect travel companion, sure to turn some heads on a grey day! This is truly an umbrella that will take you anywhere in the classic colour combo of beige and black. Finish off any event outfit with this umbrella and you will be the smart cookie in the crowd. 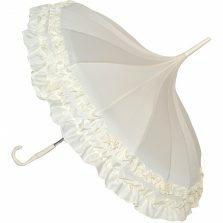 Weddings, Christenings, Garden Parties, A day at the races – you name it this brolly will take you there! The beautiful pagoda shape features contrasting piping on it’s 16 ribs in a polka dot design. When open, it has an ample canopy width of 89 cm and overall length is 86 cm. It is manual opening and has a smart leatherette crooked handle to finish it off. 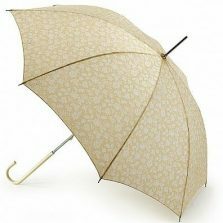 This really is a very special beige pagoda umbrella at an incredible price!